A Quality of Moss Removal You Can't Find Elsewhere, Our Company Offers Gutter Cleaning and Guaranteed Satisfaction on all Moss Prevention Treatments! Seattle Moss Removal is an exterior house cleaning company dedicated to providing environmentally-friendly moss control solutions to all moss problems. Our team, dispatched from Pierce County to Snohomish County and beyond, is professionally trained to reach the highest rooftops and clean the most dangerous of surfaces. For a roof moss removal job we avoid all toxic chemicals and rely on the brawn of our arms and passed-down de-mossing techniques. We believe in kindness and respect and most importantly a long-lasting service that pays for itself in the long run. Take advantage of our affordable roof cleaning services and add value to your home before an open-house by contacting us now! You'll lose nothing but worries by taking the first step to having a sparkling clean property--calling us now or submitting our quote form via email! Contact us at anytime for the smallest question! We're glad to serve Seattle and all surrounding cities with a loving service that adds value to your home and time to your life. Many dream of having a clean property, and many could make that dream come true if only they could get a no-obligation estimate from a professional roof cleaning company--the first step to changing the quality of daily living for you, your family and or your customers. Watch how having clean windows and a moss-free rooftop attracts more customers to your storefront. We're always here for window, gutter and roof cleaning services! Northwest Washington's Cleaning Company Dedicated to Removing Moss and Cleaning Roof, Windows and Gutters--stretching from Seattle to Olympia to Parkland to Burien, WA! 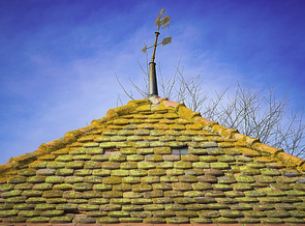 Moss on your roof shingles and betwixt the bricks on your driveway may look nice in certain photographs but the truth is that moss uplifts your shingles and separates your bricks causing gaps that will ultimately look worse and worse over time. We us the safest moss killer formula which also happens to be one of the most effective and even then we only use it sparingly when we really have to. There are hundreds of tools we can use to remove moss and after decades of combined experience we've personally decided which ones are best for different moss problems resulting in scratch-free surfaces and 100% satisfied customers. A full exterior house wash, a service including moss removal, can add thousands of dollars of value to your home and so it's a perfect service to acquire right before selling or renting. We've met many realtors who profit off our services and we thank them for it. When it comes to moss removal businesses in Seattle there is only one that's dedicated to serving every individual equally and so for you that means, right now at this very moment, the top moss control service in all of Washington is at your beck and call. No matter who you are we'll provide you with a quality of moss removal expected by America's wealthiest home owners. On a different note, when hiring professionals, those boastful schmucks also known as us, you'll be guaranteed the quality of de-mossing and moss prevention you deserve--the best! Seattle Deserves the Best Moss Removal Services! And we'd go as far to say that every single town in the world deserves nothing but the best when it comes to any service that prevents damage to their daily living. 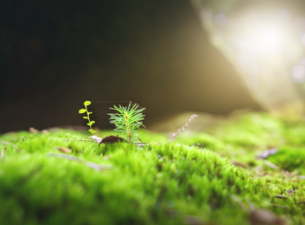 Moss damages your roof, your garden paths, underneath your deck and when it starts to grow inside your home we're dealing with more than just a helpful deed. We got your back at all times because we care! One of our more frequent customers who's been scheduling monthly window cleaning for years decided to get a moss removal service one day and we'll never forget what she called us. She called us, out of all the millions of things she could've, moss wizards! Yea, moss wizards! After that day we all sat down and had a serious discussion about changing our company name to Seattle Moss Wizards. We offer satisfaction guaranteed when we apply moss prevention solution to your surfaces not because we're confident enough to do so but because we believe that's what every moss removal business should've been doing in the first place! Be the cleanest house on the block by ordering our roof moss removal and outdoor cleaning services today! We're happy to serve with the best!